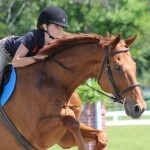 We are all set to have our show tomorrow at Cranberry Acres Equestrian Center. We had a lot of rain Thursday night, a small shower Friday morning and Sun for afternoon and evening. The ring is nicely wet down, so no dust and providing the threat of thunderstorms is just a threat, we are at this point planning to go forward with our show. We will check in the morning and post here and on Facebook – cranberry acres page by aprox. 6:30 so everyone will know how to plan. Remember to bring chairs and picnic supplies to have a fun time. With this heat, please bring lots of drinking water. 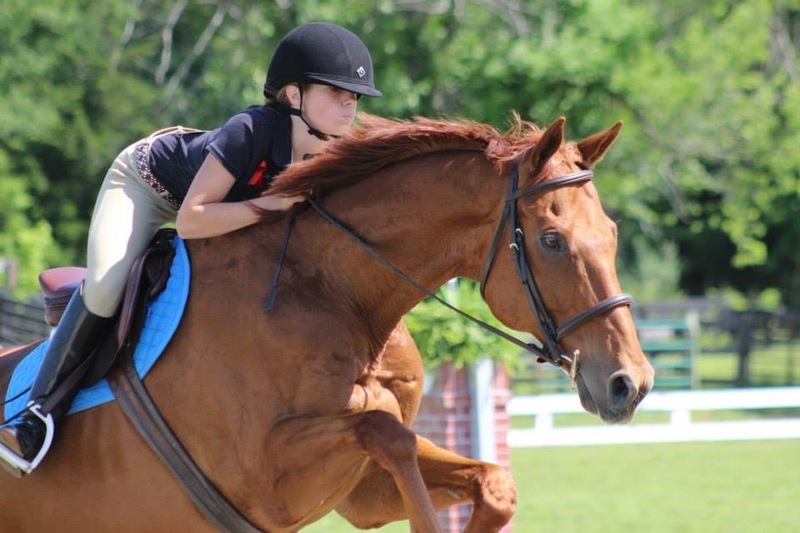 Hope to see you tomorrow…..
We had yet another great day, both competition and weather at Kelly’s Ford Equestrian Center in Fredericksburg, VA. Miss Savannah Cheatham and Whinny made their debut winning a 3rd over fences and a 4th in their walk/trot/ canter short stirrup class. Miss Libby Hellman and PJ had a treat day scoring 5th, 1st and 1st and Reserve Champion in Short Stirrup Equitation, then 2nd, 3rd and 5th in Short Stirrup Champion. Amber Adams and Stormy Skies pinned 4th, 5th and 6th in the Student Equitation division. Mrs.Cindy Charboneau and On eagles wings won a 2nd, 3/ 4ths and a 5th and 6th. I’m an Impressive Rose had 2 riders – Katie Strohm rode the Puddle Jumper division to Reserve Champion. They scored 1st, 4th and 5th. Natalie Shires scored a 1st and 5th in the Low Jumper division. Miss Mckenzie Grunden also made her debut on Island Time winning a 6th place ribbon in Puddle Jumpers. Miss Grace Neiswander and Island Time scored two 6th place ribbons in Novice Horse. Megan Bergan and PJ scored a 3rd, 4th and 5th in Novice Rider. Miss Parker Mills and Ariel rode their last competition together now that Parker has her own horse Conner, pinning Reserve Champion with a 1st, 3rd and 5th in Low Jumper. Eli Haskins and Twister scored a 2nd and a 6th in Puddle Jumpers. Katie Bonnes, Jessica Christian and Ammie Adams rode the highest division. Katie and Storms Energy pinned 1st and 5th in Adult/Children’s Jumper. Ammie and Ariel pinned 2nd in Adult/Children’s Jumper. Jessica Christian and Tenn. Stitch scored 2nd and 5th in Adults/Children’s Jumper. Paige Patnaude and Ray Ray scored 4th and 5th in Novice Horse.